0.1 consists of all NPC and main character's idle anims, minus Cait Sith (I felt it didn't fit him, but I might add them in if enough people would like to see them), General fixes for cloud (crazy animations), and a new walk and run. Final Fantasy VII Re-Animated is a project that aims to tweak and modify many of the animations in the game to bring it to more modern standards, as well as fix problems from the game that were not noticeable before we could introduce custom models, such as awkward standing animations, disjointed running animations and other general animations that did not have problems with the low-poly SD characters, thanks to their low fidelity - as well as adding idle animations that reduce the lifeless "puppet" look of the characters. There are many animation files in this game, perhaps too many to count - and to edit an animation you need to physically find the one you are looking for, and then edit the animation frame-by-frame, which both can be a daunting task, especially one of the larger animations, which have upwards of 30+ frames. I'm working on making a list of associated animations that go with each character, but it's very empty right now as I've been focusing on fixing the animations I can find. If you would like to help, see the FAQ section below for details, as well as the warning for if you want to help. Q: How long did this take? WARNING 1: ALWAYS back the animation before you edit it, so you have the original. Otherwise, not only do you risk having to reinstall if you want the old one, but now if you dramatically fern up the one you are working on you are permanently stuck with a broken animation. And with the amount of frames some of them have, that is not very encouraging. Q: Can battle animations be edited? A: Yep. I haven't done much of them yet, but you can do things like add more frames to change the speed of the animation, or even add new poses or transitions if you so desire, using the bone rotation and root translation options in kimera. Q: I don't like animation A/needs tweaking/looks weird, can you change it? Q: I've made a list of some animations and what they do/who they are associated with, where should I put it? Q: Can I be an internal tester? A: Nope, because a public version has already been released. Q: CAN I HAZ DISSIDIA MODULZ? A: To put it bluntly, unless you own dissidia and want to figure out how to put stuff into your own game, no. Sorry. Dude, that is some amazing work! I am definitely willing to test this whenever you decide to release it. Keep it up man, great stuff! My only suggestion is maybe to slow down the world map running? It'd be nice to make it look less like Cloud's running on a soapy floor, and more like he's actually moving as much as he looks like he is. 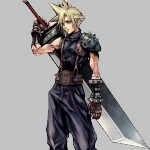 Cloud Strife: So what's going to happen now? 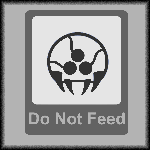 Kadaj: [giggles] Mother's going to tell me. Cloud Strife: I guess a remnant wouldn't really know. Kadaj: So what if I'm a puppet? Kadaj: Once upon a time...you were too! I can see now why I've always disliked the normally-proportioned models being in place of the Chibi's in the field. This definitely goes a long way to making them look much more natural on the field. While I probably still personally wouldn't use PRP style characters, I think this goes hand in hand perfectly with them - nice work. The idle animation still looks a little robotic though from what I can see - especially at 1:33 - He just looks a bit constricted. Maybe tweaking the forearms a little would help. Slightly off-topic but still very important - The Cloud model you've got running at the end of the video, is that the stock TA Cloud? Seems like the face looks a little better than usual. This is just awesome man. Keep it up! All in all; looks great. A few minor things I noticed, just from the video, so they may already be tweaked. 2. Standing animation is a great improvement. That said, a few tweaks would make it look a little more realistic. I'm not sure how easily it can be done, but would it be possible to add a sway, more than the lifting, to the arms while he stands. A combination of the both maybe. I'm curious, how many frames/how much time-loop do you have to work with on the standing still animation. Is it possible that we could have cloud doing something, stretching after a certain amount of time. Like in a lot of newer games if you let your characters stand they tend to do whatever they please in a sense. ( just an example) The only real concern with this if it can be done, is if it will interrupt the long speech sections where all characters stand while speech bubbles go wild. Looks good man. I can't imagine how long this took. This is amazing. Every time I think I've modded FF7 to the limits, I'm proven wrong. Just two things: the running does look too exaggerated like Shankifer said, and Cloud's shoulders seem a little bit too high. I will probably modify it to be less pronounced for field, and have two separate versions to choose from depending on what a person wants. Also, about the arms, that's more the field model's fault, because of how I resized the arms when I was editing them instead of the animation. It's easily fixed and would probably work better on custom models. First post updated with more details. Makou Reactor allows you to see which animations each model uses on a scene by scene basis. Looks like the Dissidia one. Looks fantastic, but the running anim looks a little too fast. Like the frame count is too high for the distance his legs travel. Actually, it's the other way around. The less frames you have the faster the animation will play. I've tweaked it a bit so he doesn't kick up as much so it's more of a casual run now, and I can probably finish it off by interpolating 1 or 2 frames at certain points to make it a little more natural. Will you upload a new demo vid? Or is it not worth it? EDIT: Also, have you tested these animations with custom models for Cloud? It's a bit of a novice question, I know; but I'm curious. I was actually planning on testing it with APZ's cloud once he releases that again. looks really good the new poses and animations!!! Is that the TA cloud I see in the final runcycle of the video? looks great man, Though I'd love to see an propper idle animation for chibis as well! I might do a chibi version as well, at least for the idle animations, as they would probably benefit much from having some as well, though for now the primary focus is to sort of "prepare" field for more realistic models, as well as go hand in hand with the PRP. I'm not sure what the hard limit is, but Barret's current idle anim (which I have to redo) has 80+ frames and it works fine ingame, so we have a lot of leeway with this as far as I can tell, which is good. I was thinking about implementing idle actions in addition to the "breathing" (I was sort of inspired by what I remember from field models in FF8 doing that) but like you say, not sure if it will interrupt long speech segments. Though it's definitely possible to add, it just needs to have a lot of frames, and be way later in the anim cycle to get it to work how we want it. I was thinking about having specific characters do certain things, such as cloud putting one arm on his hip and shifting his weight to one side, Tifa doing a stretch like her victory animation in battle, maybe Barret rubbing his gun-arm, etc. I'll probably look into it after I finish up adding idle anims to the main cast. If we have it very late in a frame cycle I'm sure it won't be too much of a bother during cutscenes, especially if it's only something like placing a hand on a hip or stretching. Then again, It'll have to be added after I interpolate an animation (Duplicating and manually entering values for 100+ frames is a bit excessive) so until kimera can properly edit interpolated parts to a bone I'll have to be very careful how I do it. Maybe I could make a really quick animation with like 3 frames so when I interpolate it it becomes more smooth and plays at a proper speed? That would avoid the crash issue. But much of this is just speculation for now, so I'll see how it goes first.